Emerade is an emergency treatment for dealing with the symptoms of anaphylaxis – a severe and possibly life-threatening allergic reaction. It is an autoinjector pen which is administered to the patient’s thigh when the signs of a severe allergic reaction emerge. This medication is an alternative to both EpiPen and Jext. Have you been diagnosed with, or suffered from any of the following? Have you been advised to carry an adrenaline pen in order to treat a potential severe allergic reaction (anaphylaxis)? Have you ever used Emerade before? Have you been shown, by a doctor, how to use Emerade? Do you understand that you must call 999 every time you use Emerade to treat an anaphylactic reaction and seek medical attention as soon as possible? Is there anything else you can think of that our doctors may find relevant? 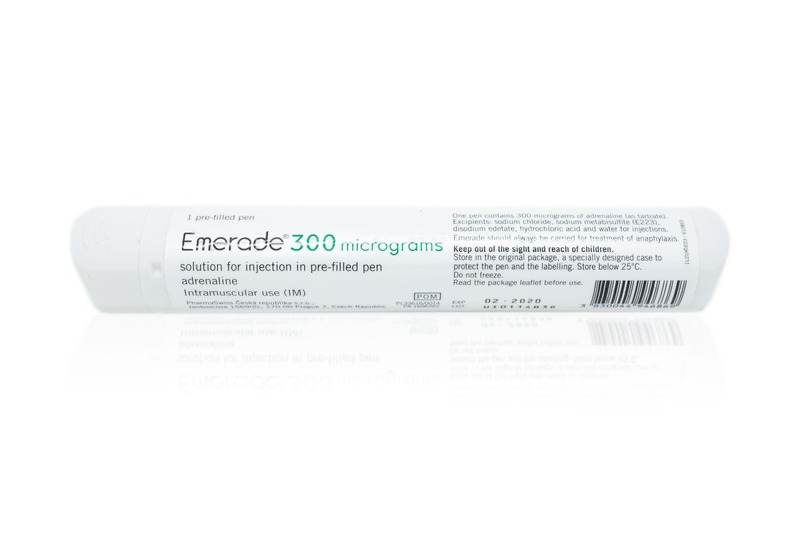 Emerade is an adrenaline autoinjector used as an emergency treatment when someone experiences a severe and potentially life-threatening allergic reaction known as anaphylaxis. The prefilled injector pen is prescribed so that it can be carried at all times by patients who are at risk of anaphylaxis. With this pen, the patient or someone nearby who knows how to use it can quickly respond when signs of anaphylaxis begin to show. The autoinjector is administered to the thigh of the patient. There are alternatives to Emerade called Jext and EpiPen which work in the same way to this particular medication. Emerade contains a sterile solution of adrenaline which, when injected into a patient, counteracts the fall of blood pressure that occurs during an anaphylactic reaction. It also stimulates the heart and facilitates breathing. This medication is used exclusively in emergency situations, when a patient experiences anaphylaxis which may be caused by allergens in foods, medicines, insect stings or bites as well as exercise or other allergens. How do I use Emerade? If you or someone you know needs to use Emerade, you will need to first prepare the pen for injection before pressing it against the outer side of the thigh. It is worth learning how to do this in advance, though if you haven’t done it before, there are instructions on the pen itself you can check. Once an Emerade pen has been used, it is emptied and cannot be used again. The injection can be administered through clothing. The needle in this medication is protected before, during and after the injection. 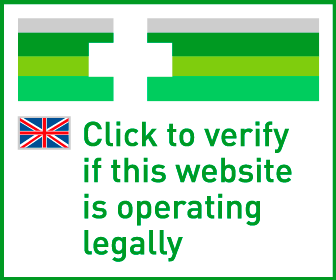 When the injection is finished, the plunger should be visible in the inspection window by lifting the label. Depending on the severity of the allergic reaction, a single Emerade injection may not be sufficient and a second one may need to be administered. If symptoms have not improved or have deteriorated within 5-15 minutes after the first injection, then apply a second injection. What happens just after using Emerade? When someone experiences an anaphylactic shock, they will have trouble moving even when Emerade has just been used for treatment. If you are with someone who experiences a severe allergic reaction, it’s important to get this person in a comfortable position. After they receive their auto-injection, the patient should life flat on their back, unless they are having trouble breathing in which case they should sit up. Pregnant women who experience anaphylaxis should lie on their left side, so that they don’t risk putting too much pressure on the large vein that leads to the heart. If the patient falls unconscious as a result of anaphylaxis, they will need to be placed in the recovery position. After injecting Emerade, the effects of an anaphylactic shock should subside in a small amount of time. When they are reduced to the point they are no longer life-threatening, the patient should go to hospital for observation. This trip to the hospital can last 6-12 hours and is necessary since the symptoms of anaphylaxis can possibly return not long after the initial shock. What are the side effects of Emerade? Emerade can be used by adults and children who are at risk of experiencing an anaphylactic shock due to certain triggers. However, only children weighing 15kg or more are recommended this treatment, because a dose with sufficient accuracy can’t be administered to those that weigh less. What if I use too much Emerade? If you take too much of this medication or accidently inject it into a blood vessel or into a hand, you should seek medical help immediately. An overdose or injecting in the wrong place can cause your blood pressure to rise sharply, an irregular heartbeat and accumulation of fluid in the lungs which can make cause breathing difficulties.